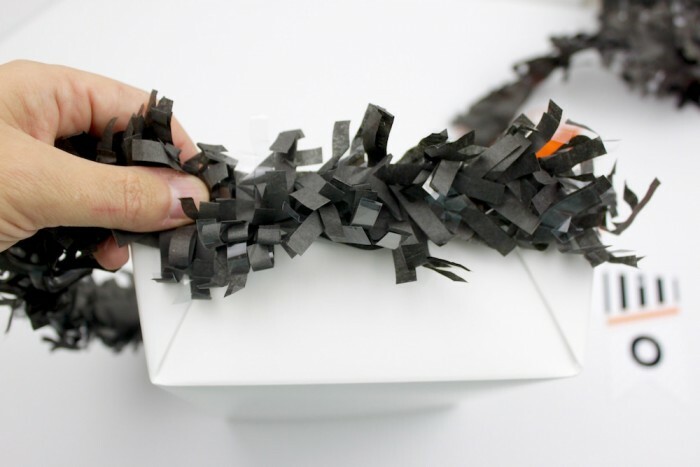 We started off with one of our take out boxes, folded the end and glued them down and cut off the other sides. 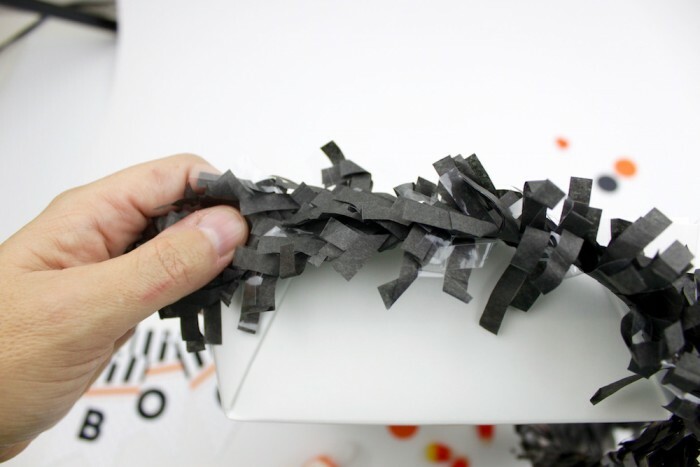 Next, we took Tissue Fringe and hot glued it around the edges. 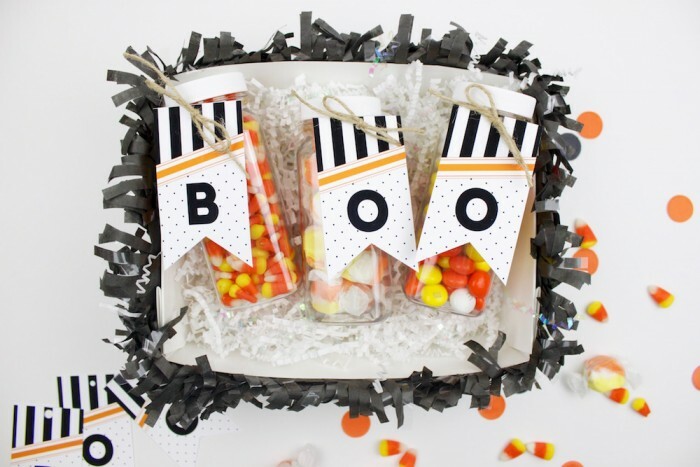 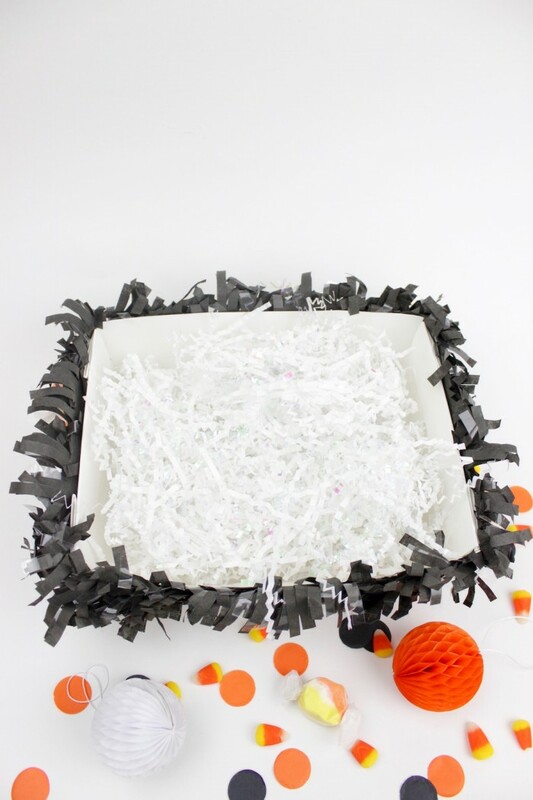 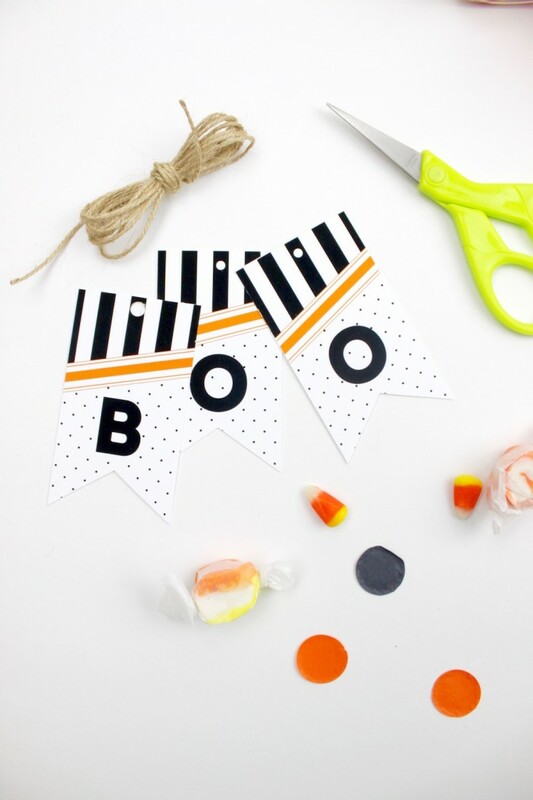 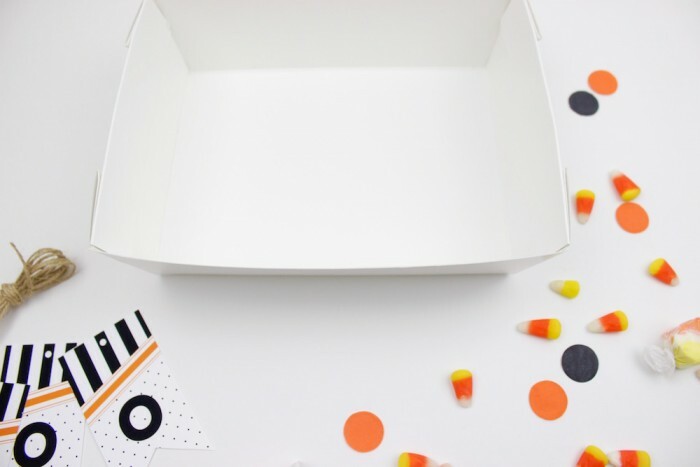 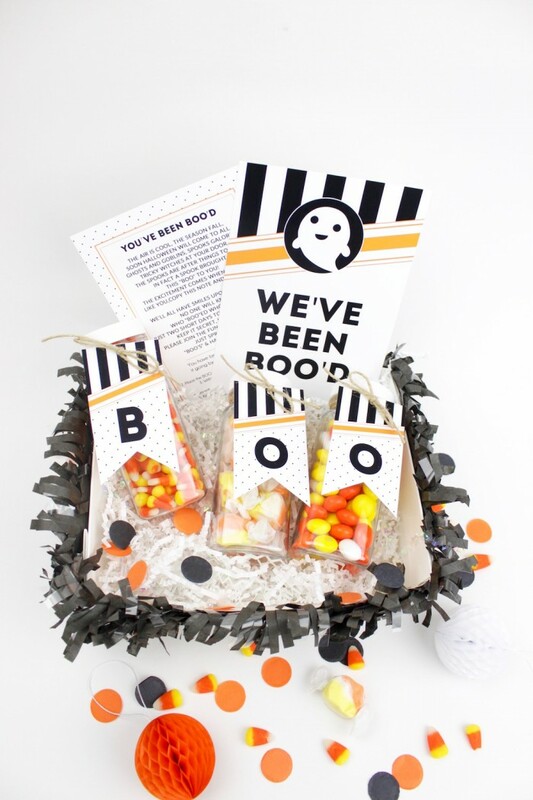 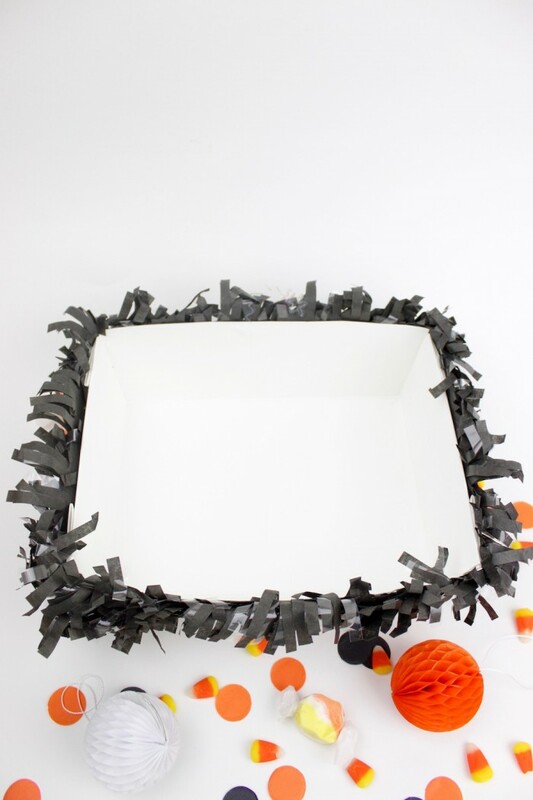 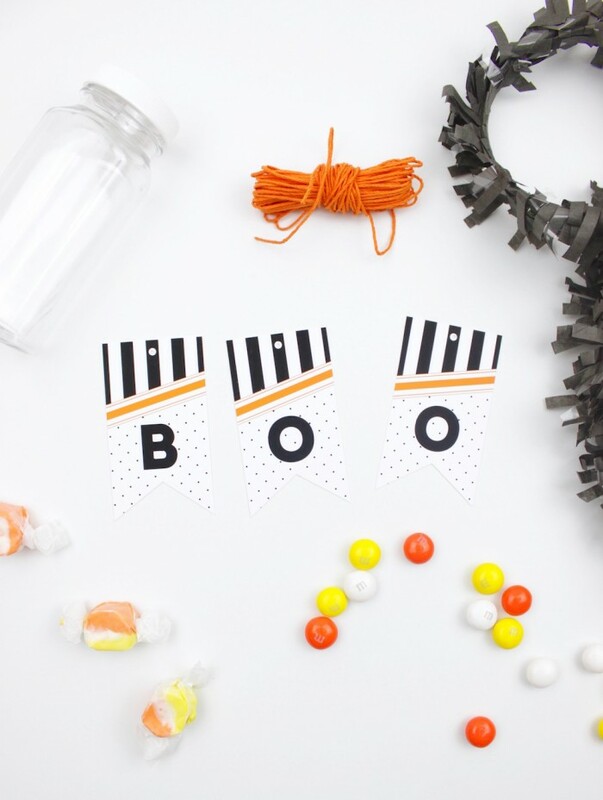 Next, we filled the box with Paper Shreds Download, Print & Cut your FREE PRINTABLES and get them ready to attach to your candy filled French Square Bottles. 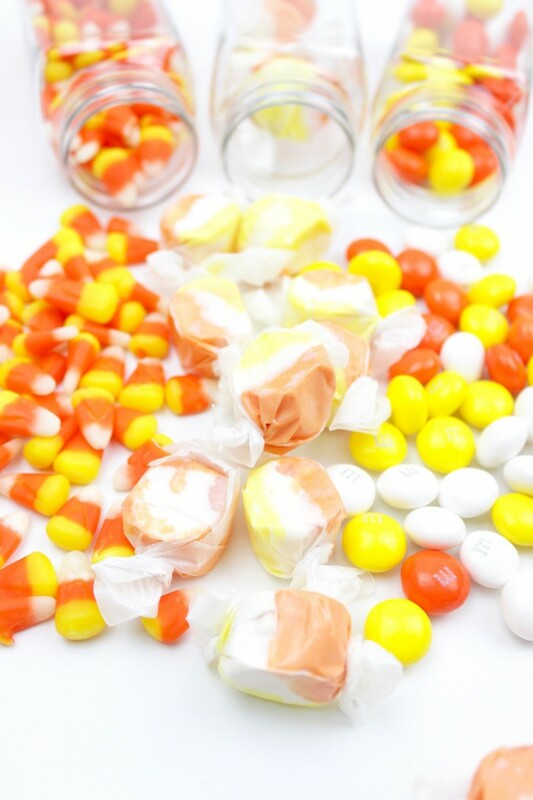 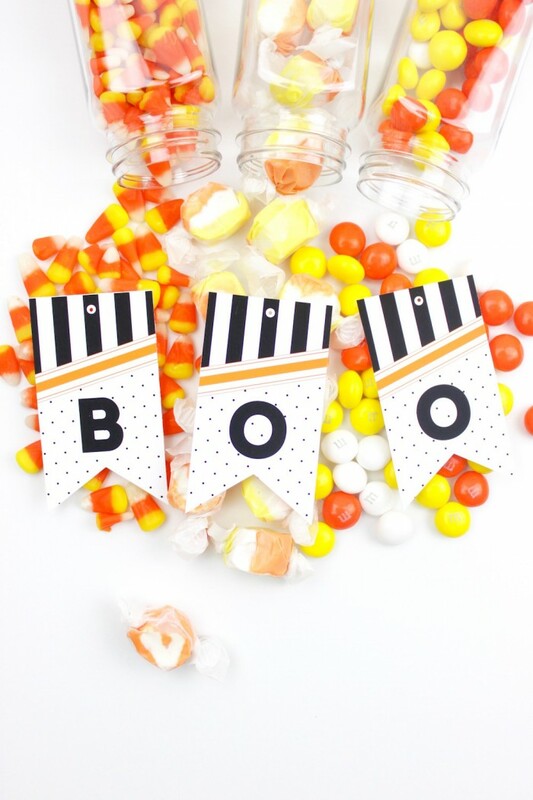 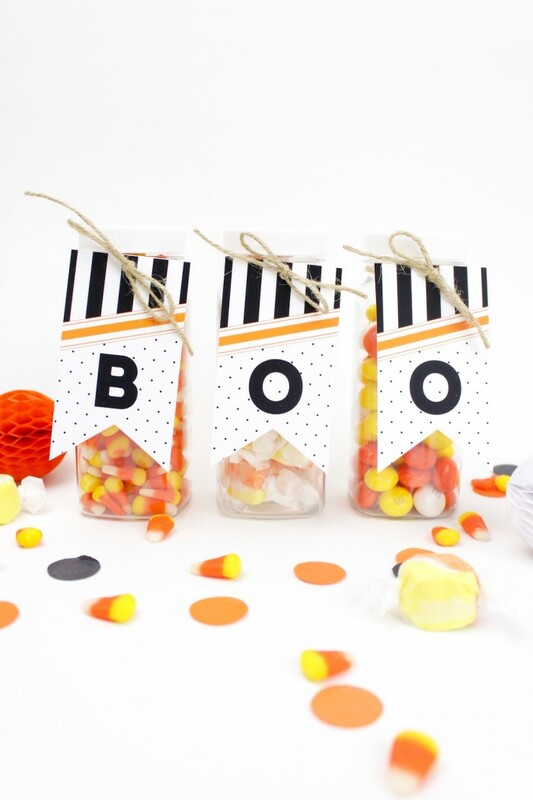 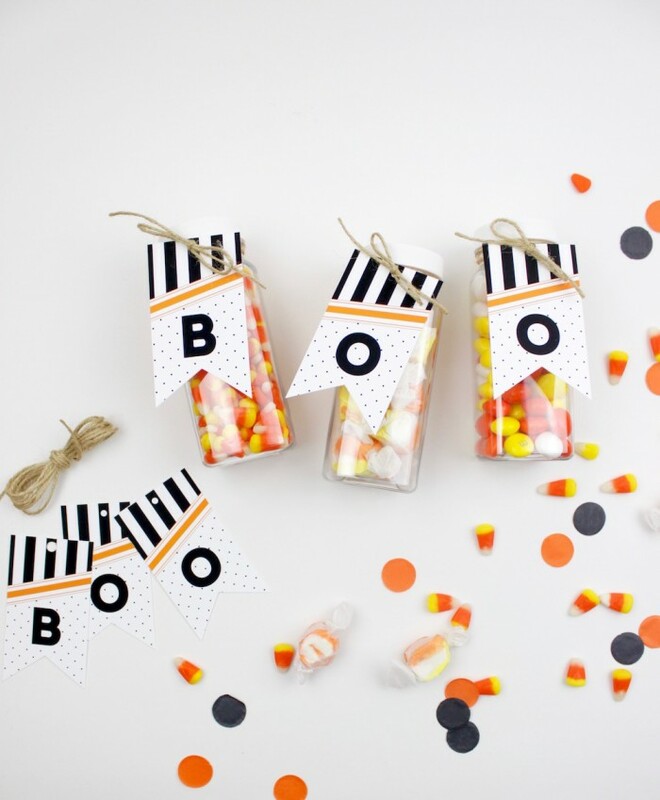 We picked candy that was easy to fill these clear bottles with…Candy Corn | Salt Water Taffy | M&M’s Using natural or colored twine, attach your tags to your candy filled French Square Bottles. 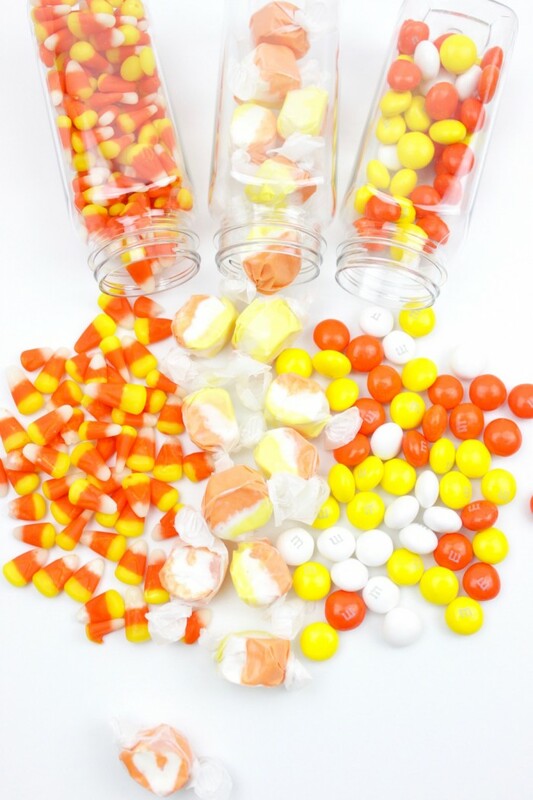 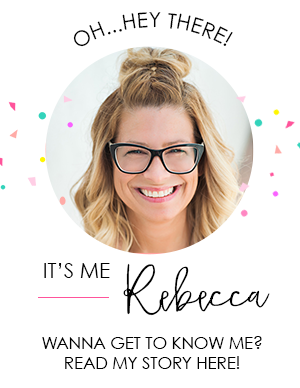 Now, add your decorated bottles to your basket. 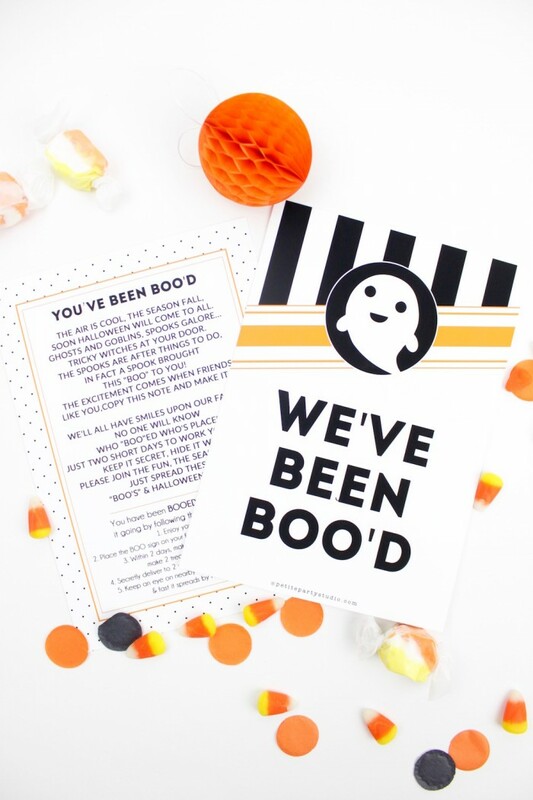 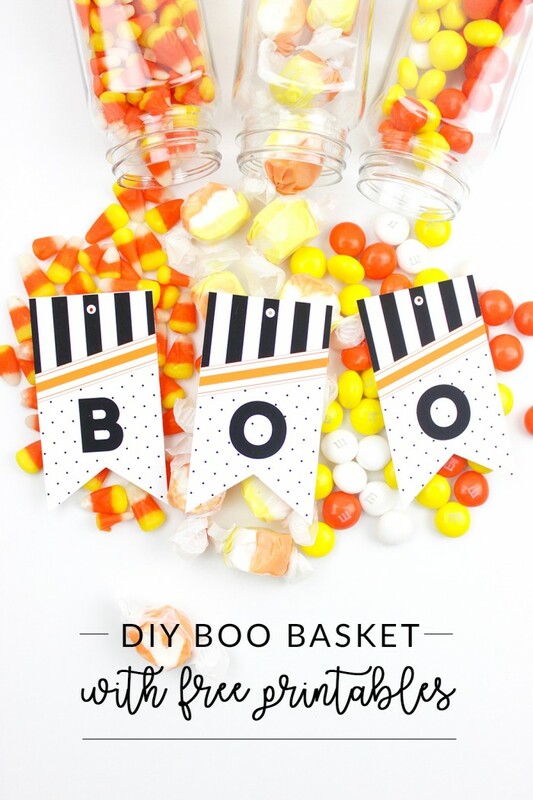 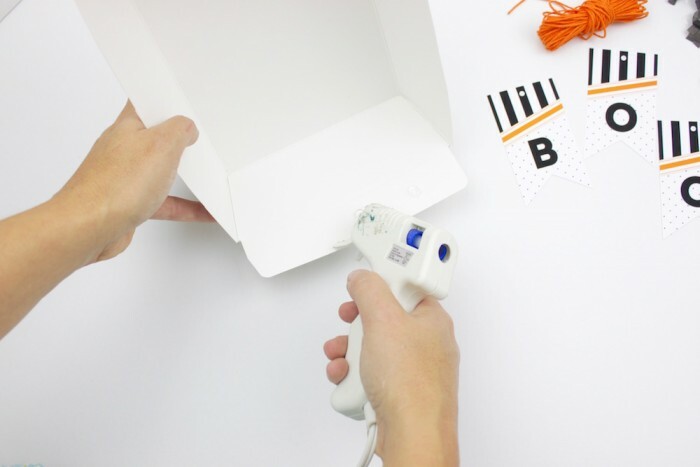 Print & Cut out the BOO sign and instructions and get them ready for delivery!